Every state in the nation has its own specific financial responsibility and mandatory insurance laws, but virtually every state requires that drivers carry third party auto insurance coverage. As a licensed driver in any state, it is your responsibility to educate yourself on the rules and regulations surrounding car insurance and to comply with these rules and regulations. Failure to comply with the mandatory insurance laws can lead to the suspension of your driver license or your registration, and lead to hefty fines. If you are shopping for a policy that will protect you when you are liable to pay for damages, read on and learn how to find the cheapest liability policy. 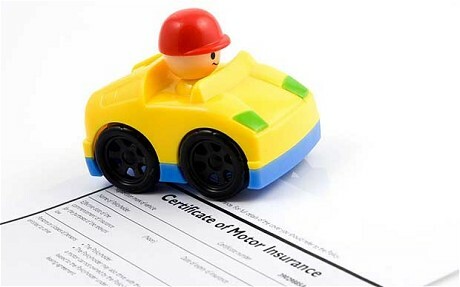 What is Third Party Auto Insurance and Who Does it Cover? You should take the time to understand what a policy will or will not cover before you make any commitments. There is a major difference between a third party policy and a full coverage policy. For starters, no insurance policy truly offers full coverage, but plans that are referred to as full coverage plans will provide physical damage coverage for your vehicle. A third party auto insurance plan, on the other hand, only provides coverage that will pay a third party when you are responsible for an accident that leads to damage and injuries. Third party insurance is more frequently referred to as liability insurance and consists of two different categories of coverage options: Bodily Injury and Property Damage. Bodily Injury is the liability limit that will pay for the medical bills that accumulate when you cause injuries to a third party, whether it is a driver, their passengers, a bicyclist, or even a pedestrian. Bodily Injury will be stated on a per person and a per accident basis. You will have the option to purchase state minimums or limits as high as $1,000,000 per accident. The next liability category is Property Damage. This coverage limit will pay to repair vehicles, fences, properties, or anything else that you damage in an at-fault accident. Property Damage will be listed on a per accident basis, no matter how much property is damaged. Now that you understand that third party insurance is a different way of saying liability insurance, the next step is comparing auto insurance rate quotes so that you can find the company that offers the best premiums. Your premiums will be based on you driving experience, your driving record, your accident history, the type of vehicle that you own, how often you drive, and even where your vehicle is parked regularly. While many companies offer competitive rates, some companies do not. By using an online rating comparison tool, entering all of your data, and reviewing each quote, you can see which companies are really competing for your business. Before you purchase a policy that only offers third party coverage, make sure that you are covered. If you decide that all you need is liability insurance, decide on an adequate limit that will protect your assets. Use technology to your advantage, buy the right policy, and maintain coverage until it is time to retrieve quotes again next year.